Just googled him. I presume this is the same Ralph Cook that was suspended from the Labour party a couple of years ago for disagreeing about the way the City’s transport plan was being handled. Correct. Same Ralph Cook who accused the Lib Dems (who then in Cardiff had a Jewish Council leader) of acting like Nazi storm troopers when they targeted his ward in 2008. He was then suspended as a councillor for two months. The Lib Dems won 1 of the 3 seats in that ward although it was very tight. Can’t see that ward being anything other than a Labour hold in May though. Plaid are talking it up, but really is outside their chances. The ward is in Cardiff South by the way, on the eastern edge, bordering Newport. I live in this seat and from all the posters and hoardings in windows – it’s going to be a close call between both Labour and the Liberal Democrats. However, the shift in demographics over the past 15 years or so, I suspect will make this seat even safer for Labour in years to come. Came within 1000 votes of winning the Assembly seat pre-Brexit in May 2016 when Labour were on 33% and the Lib Dems on 7%…. 3-way marginal coming up here perhaps? Agree LD have a good chance – although with Labour being ‘the government’ in Welsh Assembly elections you have to be careful about using these to predict their performance in a Westminster election. Central – Lab held, in recent years a marginal with the LDs, could end up a three way. A poll like that makes a seat like this very difficult to call. Perhaps. 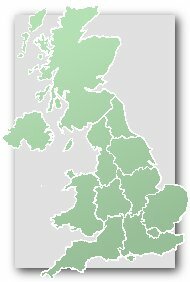 Though as UKIP>CON switching is a big factor in the size of the Tory lead, Labour may do better in the Cardiff seats where UKIP are relatively weak but extremely badly in North Wales and the valleys (though the size of their 2015 lead in the valleys means they’re unlikely to lose many, if any, seats). This poll is very good for the Tories and I would expect them to pick up quite a few seats but it does not really give a good guide as to which. I’d expect Cardiff Central would be more likely than not to go LD, given Parrott’s candidacy, though it’s far from certain. If the Tories are doing as well as the Welsh poll suggests that could be problematic for the Libs here, like most ex affluent now studenty seats that the Libs have strength in (here, Manchester Withington, Bristol West) a good chunk of the Lib vote is strategic votes from Tories, in this seat they will come primarily from Cyncoed. If Tory inclined people here think they have a shot they’ll vote for their first preference and that will seriously hamper the Libs here. It’s also very Remain, however, which means that those Tory voters may not be the same ones that are driving their high ride in the polls or would be most inclined to back the Tories regardless. I think Cardiff Central is so unrepresentative of Wales as a whole that it is pretty hard to interpret in terms of that poll. Certainly the UKIP % can’t fall by 7% here, although I guess they may not stand.. I would be be surprised if Tory voters will think they can win here, given the level of likely activity from Lab and Lib Dem. In fact given the fact that this is the only target seat for Lib Dems in SWales while Tories and Labour suddenly see many new battlegrounds open up, i think the tactical ground campaign situation now favours Lib Dem. I feel this seat will come down to two things. 1. How many Tory remainers there are in this seat. Labour will lose vote share, maybe as much as 5-7% If this is lost to LDs (Lab 2015 – Tory now – tactically vote LD 2017) then this seat is interesting. Not to mention LDs will probably see their vote rise from 8-12+% this GE. Id say it’s 60-40 Labour, first time incumbency may save them. I think the locals here next week will be interesting. The Lib Dems lost a lot of council seats in Cardiff last time. If they win back a significant number it would indicate that they are on the way back locally. If the Tories pick up many seats in Cardiff Central then it will show the tactical voting is unwinding. In 2004 and 2008 the Lib Dems won 20/20 council seats here. In 2012 they drooped to 12 and Labour won 8. Last night Labour won 10, Lib Dems 9 and the Conservatives 1. Do you know the turnout? The AM for this seat, Jenny Rathbone, has been suspended for (you guessed it) anti-Semitic comments. Jenny Rathbone has been reinstated to the Labour Party while remaining under investigation for antisemitism. Mark Drakeford has welcomed her back.